My thought: sooner or later all scientific inquiry smacks into the question of God, for even if we could exhaustively understand everything that happens in the physical universe, we would still have to face the larger, philosophical question of why there is a universe in the first place, and what makes its laws and gives them their consistency. Far from displacing God, scientific advance inexorably leads us back to Him again and again. Greater knowledge about how the universe works makes more poignant, not less poignant, the question of why it works that way – and why it is there at all. Do I fear sin more than looking stupid? We read Hawkings to answer the big question. Hawkings gives a long explanation with a lot of mathematical digressions and leaves us admitting he doesn’t have an answer to the question “What moves the Universe?”. All he knows it is “Something amazing and beyond comprehension”. Theists confidently reply with a string of superlatives and that he is beyond comprehension, that understand him requires faith, and end with “God is that which moves the Universe”. The word God is still an algebraic placeholder for “Something amazing and beyond comprehension”. Hi David, thanks for commenting. while I think we can understand basically what God is, I agree that we cannot completely comprehend him. I also agree with you that the real God must be more than a cosmological starting point. The Christian God has particular characteristics – he doesn’t just fill the slot of upholding the universe. He is triune – Father, Son, Spirit. He acts in history. He became a man in Jesus Christ. Because of Jesus, we can know what God is like. Have you done much reading of the gospels in the New Testament? I think God’s reality is testified to by the world we live in. Faith is informed by this testimony – its not a blind leap. I am a Christian, however, not only because it makes sense of the world, but also because it provides real answers to the deep existential questions of life, like forgiveness of sin and hope in death. I’d be honored to hear your thoughts in return, either through comment or email. Your answer was the digressions I mentioned above. If we stick with the precise question. What moves (upholds) the universe? Theists answer God. But when asked What moves God (Where did he come from? What gives him his power?)? The closest answer we get is “God was always here” and “God is the ultimate mover”. Which are still descriptive and not explanatory. David – At a certain level, all explanation has to cease, right? (Why is pleasure pleasant?) The fact that we’re hitting that ultimate limit which explains everything else (the thing which cannot quite be explained) doesn’t count against it. Perfectly comprehensive explanations tend to explain nothing. And Gavin, thank you for the great quote – but I think you need to start reading Richard Dawkins, who has sympathetically and exhaustively answered all these sorts of problems. if you’re asking “what moves God?” and not “what is God?,” then I think I’d need to understand why you think God needs an external cause. I think that only contingent things (like the universe) need an external cause. When theists refer to him they are thinking of a non-contingent reality. You can certainly deny that such a reality exists! But to ask where it came from seems to me to confuse categories. Its like asking how much time passed before the big bang. Would you say that all reality must be contingent? I’d be curious to hear your thoughts. Eric – Richard Dawkins. Hmmmm … I think I’ve heard of him – really polite guy? A staunch advocate of young earth creationism? I think Gavin posed that science doesn’t answer the question, and that religion does. I believe that religion leaves the exact same gaping hole, but hides it under a set of different digressions. I was being presumptive in most of my posts, but I am really interested. Are there any good or creative answers to the questions. What moves God? How did God get here? Anything that doesn’t end in “we don’t know”, “how presumptive of us to ask that question”, or some other form of “bu**** off”? I gave my thoughts on that question in my March 11, 10:49 AM comment. Feel free to address the question that I posed to you there or give a more general response if you are interested in pursuing this further. Sorry, I didn’t explain myself clearly the first time. But I want to focus in on God as the cosmological starting point. 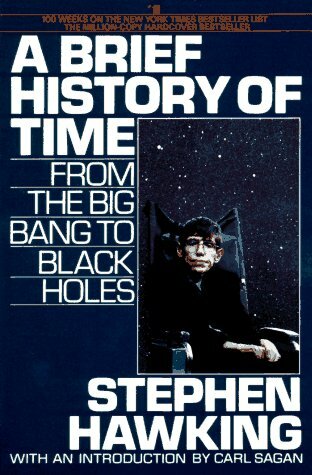 Hawking gives a description but admits that science hasn’t lead to a perfect understanding of the cosmological starting point. Can Theism give any better explanation of the cosmological starting point? And, “God has always been here”, isn’t a better explanation. Where did God come from? Where does he get his power from? thanks for clarifying. Perhaps a metaphor will help. If you came home from work one day to find a window smashed in, your labtop and tv stolen, and dirty footprints all over your home, then you could reasonably infer that someone had broken into your home. But to actually find the IDENTITY of that person, you’d need to dust for fingerprints, ask your neighbors for a description, match the shoe prints, etc. So also, when we observe that the universe is contingent, we can infer that it had an external cause. But to IDENTIFY what (or who) that external cause is, we need to go beyond science. Science tells us that there must be some eternal, non-contingent, immaterial reality behind the universe, but it doesn’t answer your question about what this reality is. That is why I commend to you a study of Jesus in the gospels – figuring out the cosmological starting point is really too huge a question for us – unless that starting point has become like in a man. Its worth considering. Feel free to clarify again if I have misunderstood what you are trying to get at.